Yes folks, I finally found some time to get into updating the Family Tree after a period of benign neglect. Time was available because my hard-charging wife was out of town. Good luck trying to print it, though. I couldn’t. 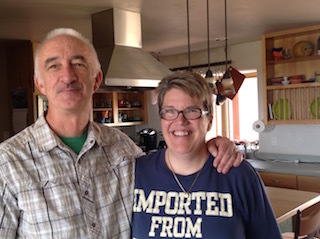 This round of updates was initially inspired by our visit in August 2014 to Will and Robin Walsh in a very bucolic spot somewhere west of Durango, Colorado (I mean seriously bucolic, as in sagebrush, coyotes, mountain peaks in the distance, and the world’s most sustainable house). Also inspired by my uneasiness about inaccuracies and out-of-date info — about the latest generations, in particular. It’s been fun corresponding and talking with the likes of Sally Cooper, Sharon Yates Ewers, Silas Yates, Stephen Wells, Dan Wells, Kirstin Wells, Rita Wells and others. More corrections and updates are always welcome via email or phone.